Give your vehicle’s trunk or cargo area some durable and tough protection against abuse with the Husky Liners WeatherBeater Cargo Liners. Its sturdy rubberized thermoplastic construction will stand up to virtually all harsh chemicals and elements like mud, water, snow, gasoline, battery acid, and motor oil. Husky Liners WeatherBeater Cargo Liners feature towering side walls and smart grooves that will contain all the mess and harsh chemicals, preventing them from spilling onto your cargo’s flooring. 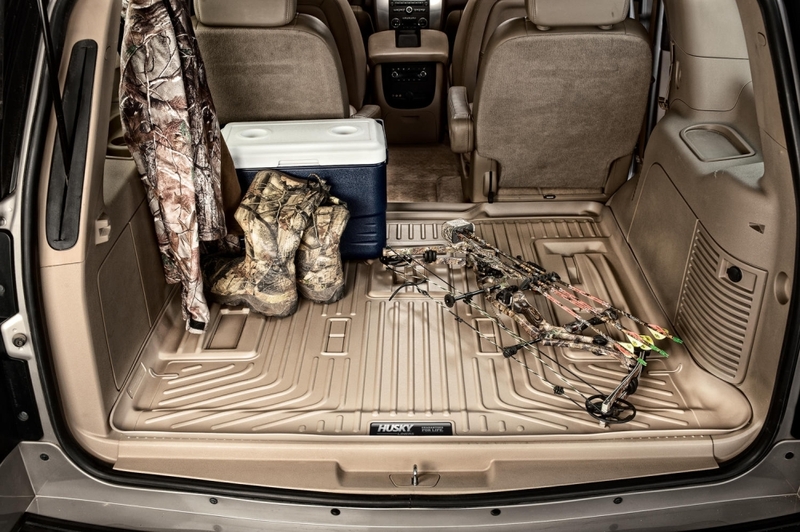 Made tough, WeatherBeater Cargo Liners will also defend your rear area from the wear and tear of daily haul. They are designed using the latest CAD technology to ensure that they provide a complete wall-to-flooring protection and perfect fit to your vehicle’s trunk or cargo. On top of it, Husky Liners WeatherBeater Cargo Liners carry a lifetime warranty against breakage and cracking. 2014-2015 Honda Accord Husky Liners WeatherBeater Cargo Liners, The Husky Liners WeatherBeater Cargo Liners is designed specifically to fit your 2014-2015 Honda Accord without any modification to your beloved Honda Accord. If this Husky Liners WeatherBeater Cargo Liners is not exactly what you are looking for to accessories your 2014-2015 Honda Accord, please don't give up just yet. Our catalog has huge variety of parts and accessories for your Honda Accord.